Do you want to install a concrete walkway or patio in your home? If yes, Reinforced Concrete is here to serve you. We are your trusted contractors providing Burlington’s best-in-class concrete installation and construction services to homes and businesses. No matter, you want a driveway, deck, patio or sidewalk, we are here to provide you with unique structures made from a durable concrete material. Concrete is a versatile, easy to maintain, and long lasting material which is also a cost-effective alternative to other materials. Though it’s a little costly than asphalt or gravel, it is considered highly resilient and can last for up to 25 years. If your driveway is worn out or looks outdated enough, stamped concrete driveway installation in Burlington is your ultimate choice. We’ll assess your property to determine whether repairs can be done or you need a completely new structure. At Reinforced Concrete, we pride ourselves on providing top-notch concrete structures to meet your outdoor needs. 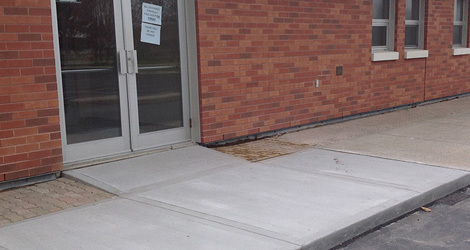 Being your locally owned and operated concrete installation company in Burlington, we have managed to earn an industry reputation by delivering 100% customer satisfied services. Our team is professional and punctual with years of experience in doing stamped and exposed aggregate designs. Whether you want to get your driveway repaired or want to install a new one, we provide free and accurate estimates.